Nothing can replace a mother’s love and care and every living animal deserves and needs it. 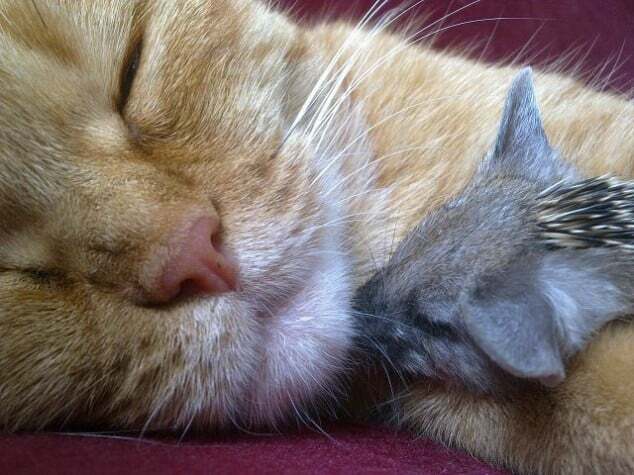 When these baby hedgehogs lost their mother, another animal decided to raise them as their own. 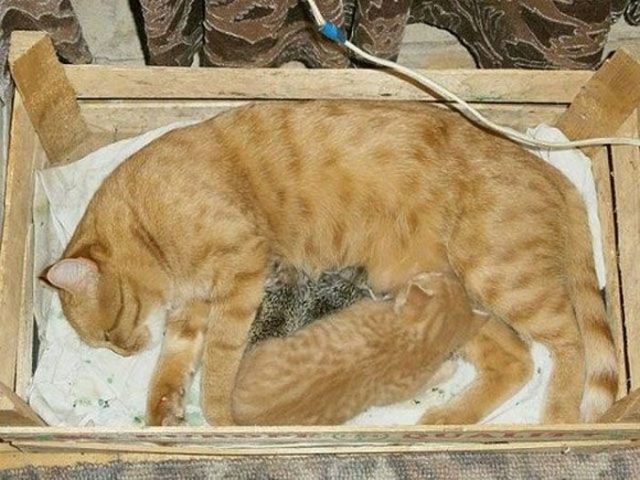 As she was already a mother of a kitten, this cat adopted the baby orphans and we can barely handle all of the cuteness! 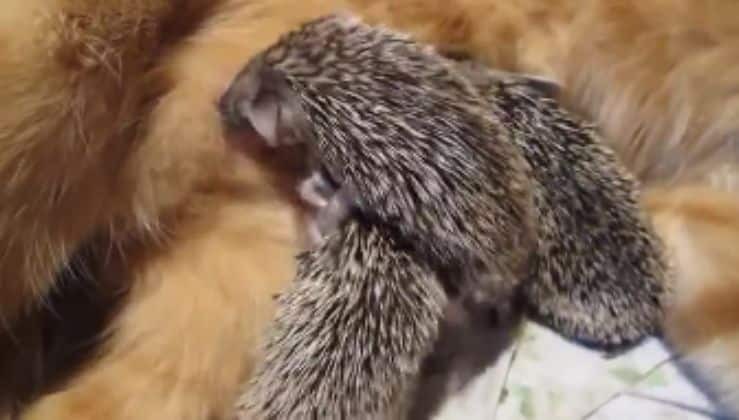 Everything started when four baby hedgehogs lost their mother in a lawn-mowing accident. 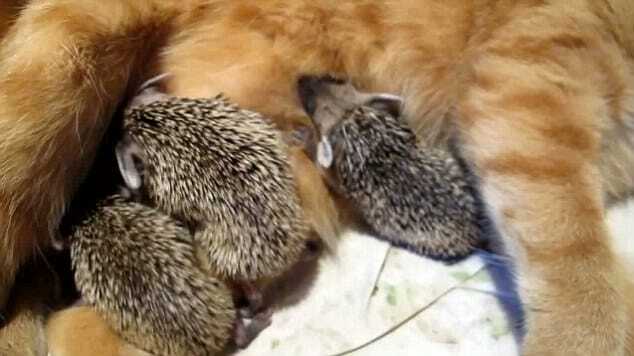 The little hedgehogs were desperate for milk, affection, care and a mother’s hug. But when everything seemed to be lost, another mother decided to raise them as their own! It all changed when Sonya, a ginger cat made her appearance. 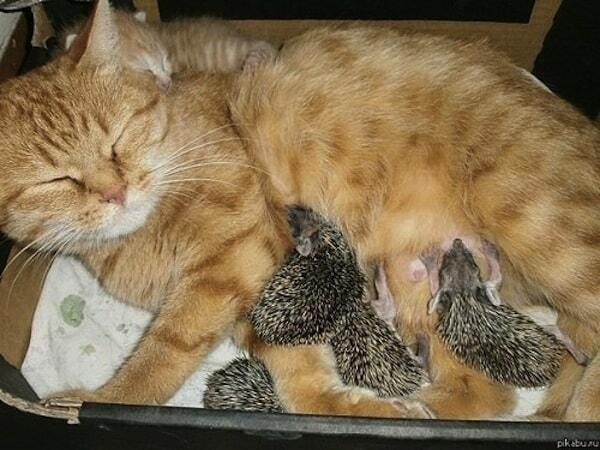 She had just given birth to her own kitten, so she had plenty of milk. 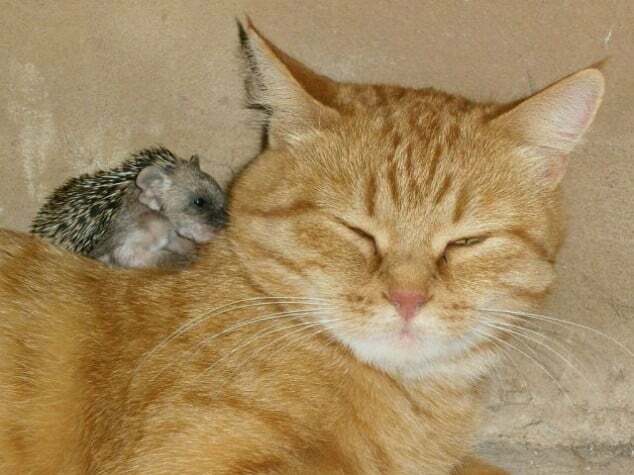 The little hedgehogs seemed to be interested and tried to approach her… Nobody knew how she will react, but fortunately, she surprised everyone! 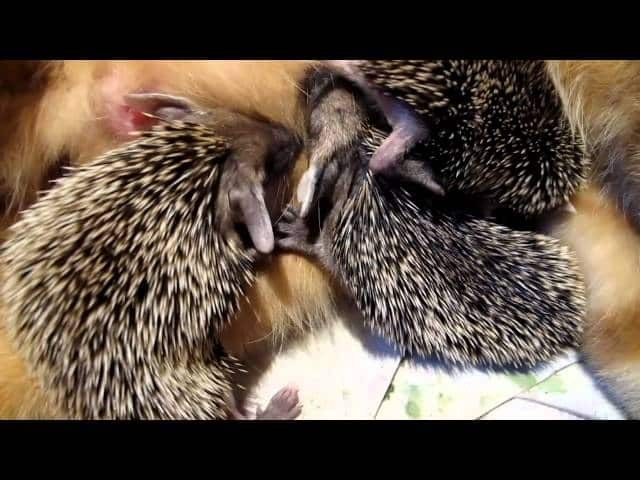 The baby hedgehogs had some trouble at first, but after a few hours, they began to nurse on their own! It seemed that they found a way to drink milk from Sonya and avoid starvation, which could have been crucial considering that they were only two days old. But was the cat’s milk enough? Or was it healthy? But Sonya didn’t offer them just that. The milk from mammals doesn’t differ a lot between species and is still considered a better option than bottle feeding. 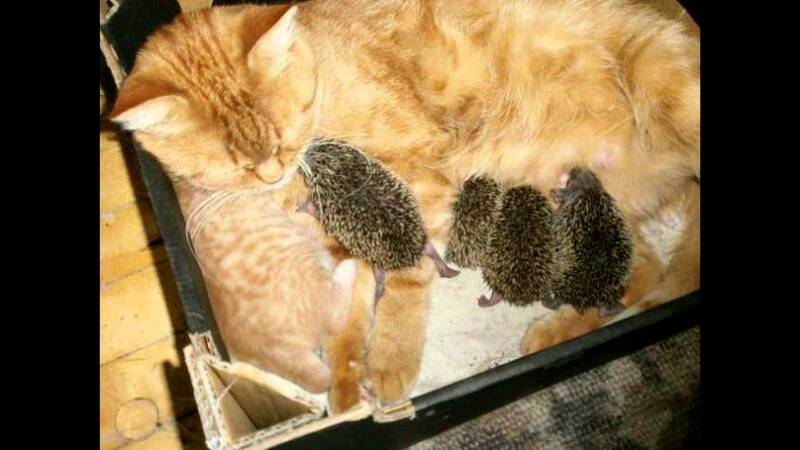 So, the good news is that her milk was good enough for the orphan hedgehogs! 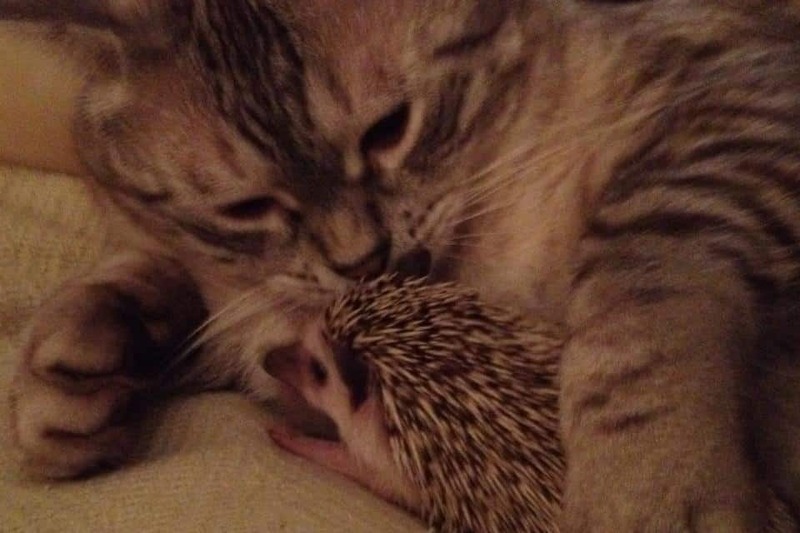 Curious to see how the hedgehogs are getting along with Sonya’s kitten? After some time the hoglets grew up and started to be less depended on their mother. 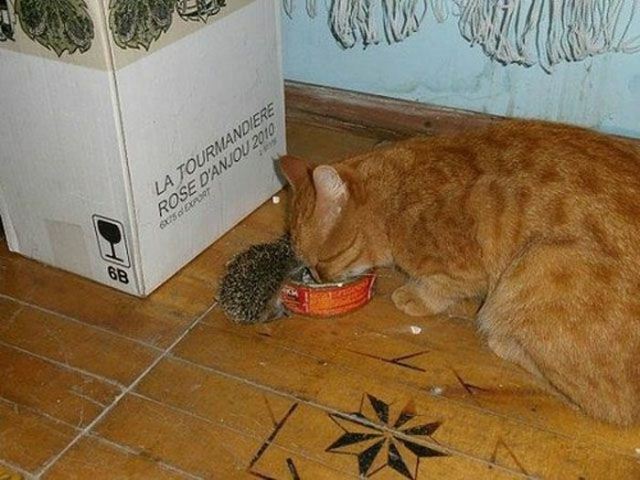 They started to eat normal food (of course hedgehog food) and began to explore the world. Did Sonya’s job as a mother ended there? Of course not, and you’ll never guess what she felt like doing. The hoglets never forgot what she did for them, though. It seemed like they knew that she literally saved their lives when she decided to adopt them. 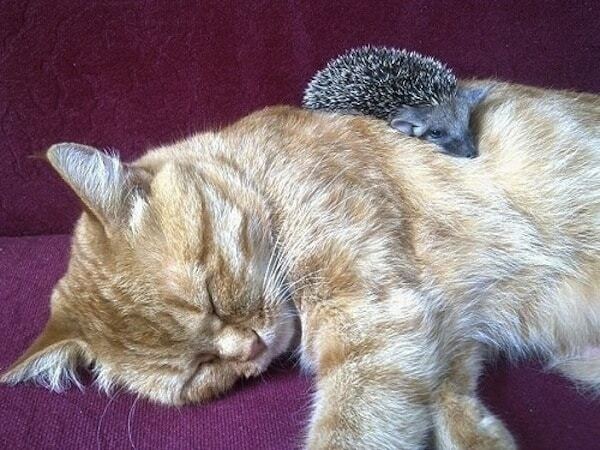 But did the little hedgehogs get along with her baby kitten? The six members of the family seemed to get along well and qualified to be considered a real family despite its weird composition. 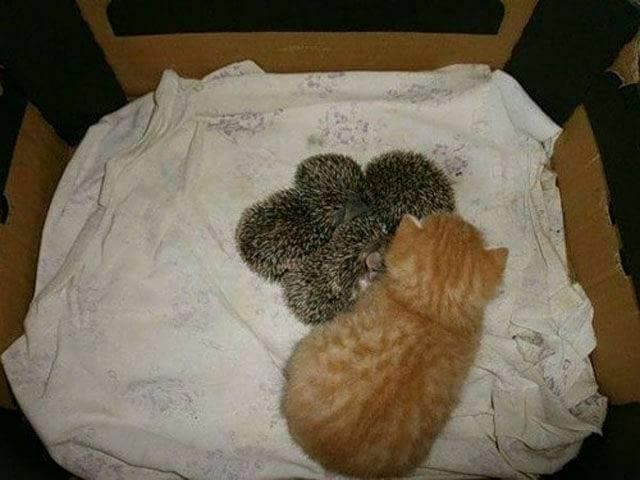 The little kitten was excited to have such special brothers and sisters. 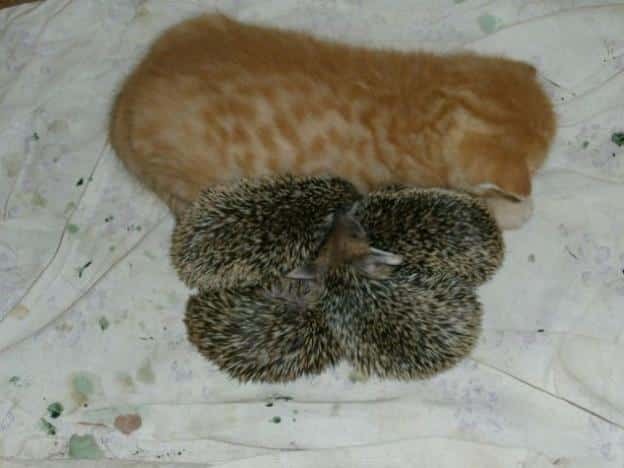 Of course, the kitten wasn’t ready to digest the idea that these four hoglets will be in its family. It was distant and scared at first, as it was expected, but its heart was warmed quickly and it welcomed the new family members with love and care. 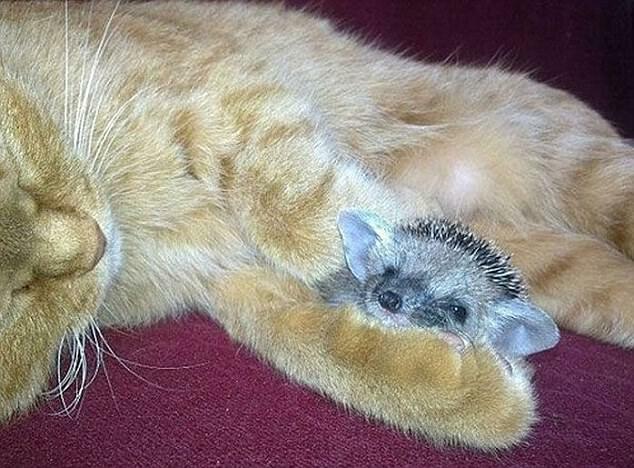 If you thought that this picture is cute, just wait until you see the rest of them! They were all getting along! When Sonya was away the five of them seemed to keep company to each other and cuddle together to keep themselves warm. 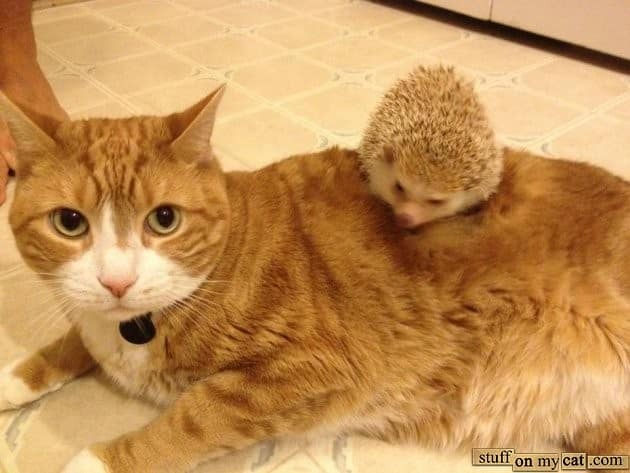 It seems to be common practice for mother cats to be willing to adopt small mammals. There is a reported case of a tiger named Sai Mai from Thailand who adopted three orphaned baby piglets! 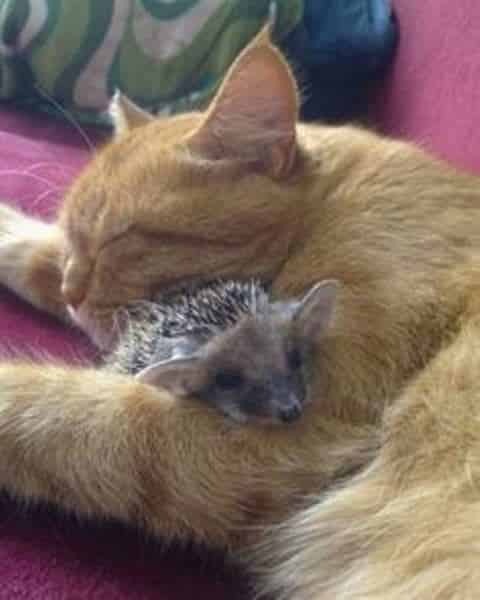 As strange as it seems this isn’t the only case a cat has adopted baby hedgehogs. 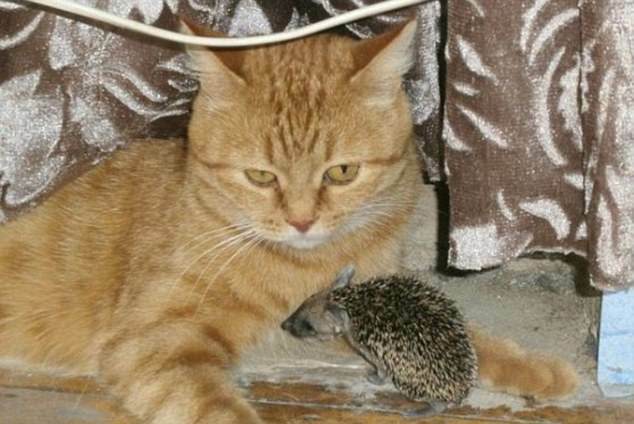 There is this story of a cat named Muska who adopted a group of eight orphaned hedgehogs just like Sonya. Despite the fact that this behavior between mammals is common, it is not a rule. 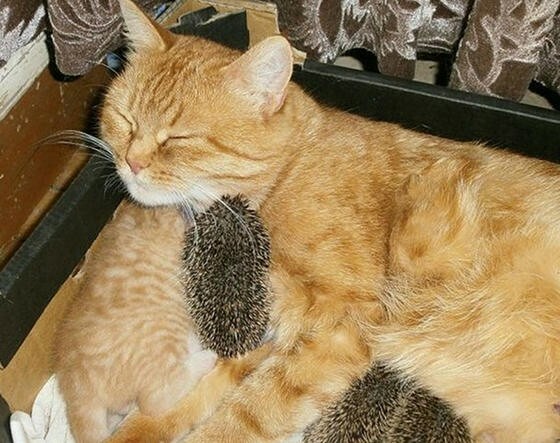 It wasn’t easy for Sonya to welcome those baby hoglets in her family and treat them as real family members but love and affection overcame every second-thought. It is a fact that Sonya literally gave them a second chance in life. Without her, those orphaned little hedgehogs would have starved and froze to death. 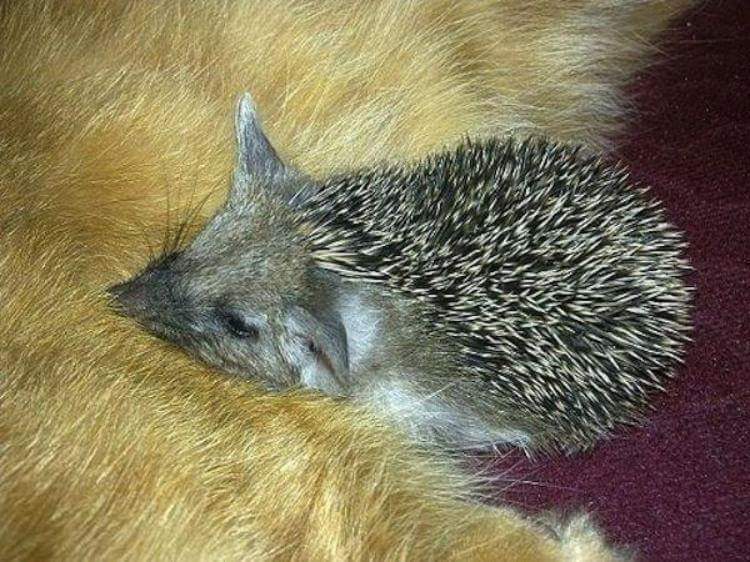 But even with enough food and warmth, every baby needs the hug and care of a mother and when situations like this happen there is no room for discrimination against species! At least this is what nature teaches us! This weird family surely has a lot of things to do in the close future. 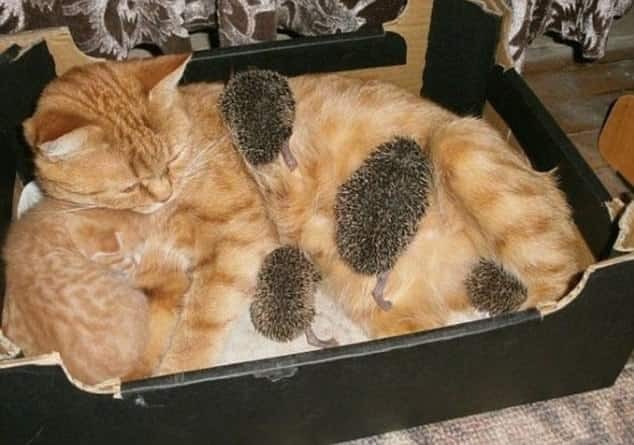 The hedgehogs will be forever thankful and loyal to Sonya as she is the mother they never had and as long they all get well it is sure that their future will be full of weird, cute and loving surprises.